How strange it must be being Robert Forster. Now in his sixth decade, the former Go-Between has been spending time since the unfairly-enforced end of the group writing about other people’s music for Australian arts and society magazine The Monthly. The first collection of his articles - The 10 Rules of Rock and Roll – was published late last year to critical acclaim. With pieces on Bob Dylan, AC/DC, Nana Mouskouri, Cat Power, Grant McLennan, Franz Ferdinand and even Delta Goodrem, it is as erudite, passionate and funny as you would expect and utterly recommended. As pleasurable as Forster’s writing is I can’t help thinking that, to quote from his last album ‘something’s not right, something’s gone wrong.’ No doubt he wouldn’t even entertain the idea, but Forster’s own musical talent dwarfs that of the majority of his book’s subjects. In dissecting their music I wonder if he ever questions this peculiar alignment of the celebrity stars or considers just what does one have to do to marry art with commercial success? It certainly doesn’t show in his writing, but he’d have every right. Tonight’s show is representative of yet another such distortion. As one half of this country’s greatest song-writing partnership, the idea of Robert Forster playing a venue as tiny as the Toff in Town should be too absurd to be true. The room is barely big enough to contain the man himself, never mind the scores eager to see his only Melbourne shows of 2010. Whether the Toff was deliberately chosen for its intimacy, through a vast underestimation of demand or genuinely reflects Forster’s solo pulling power is unclear but to compare with an artist of similar vintage, an equally solo and acoustic Lloyd Cole sold out the vast Thornbury Theatre late last year. Inevitably tonight is a sell out which makes for a cosier time than expected, but at least everyone has a good view. The performance itself begins with a curtain slowly pulled back to reveal the six foot three frame of Forster theatrically posed on an old wooden chair like one of Rodin’s statues with a guitar looking like he’s been waiting there for hours. It’s typical Forster, both arch and slightly aloof and part of his repertoire of hammy, eccentrically comical stage moves which also see him appearing to float around his acoustic guitar which seems to remain magically static in mid air. Without a band tonight’s set differs greatly from the 2008 tour to support The Evangelist, an album which is conspicuous by its absence tonight. Instead Forster punctuates songs from the two Go-Betweens eras with choice cuts from his nineties back catalogue. We are treated to Snake Skin Lady replete with back story, and an eerie Danger in the Past with a foreboding Forster as Kingsley’s Mrs Doasyouwouldbedoneby from the Water Babies. Still rightly proud of his contribution’s to the Go-Betweens’ 2000 comeback album the Friends of Rachel Worth, there are outings for German Farmhouse, Spirit and an apparently ad hoc encore of Surfing Magazines. Born to a Family and Darlinghurst Nights are pulled from 2005’s Oceans Apart and offer more evidence that the Go-Betweens reformation was one of the few in rock history worth its salt. Inevitably though the biggest cheers of the night go to two of the Go-Betweens best known Eighties songs, played out as call-and-response with the crowd. McLennan’s Streets of Your Town (“…shi-i-i-ine…”) and Forster’s Spring Rain (“…falling down like sheets…”) bring a gentle euphoria to the room as well as a few moist eyes. The night concludes in raw beauty with a tender Dive for Your Memory, with the wistful refrain of ‘when I hear you saying that we stood no chance, I’ll dive for your memory, we stood that chance’ gently mouthed by everyone in the room. Whatever the logic behind tonight’s venue there’s no denying that being able to observe your heroes at this range is a rare treat. 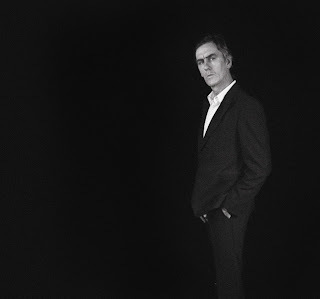 In a week where Australia’s biggest news story concerned a cricketer and his girlfriend, it was nice to hide away from it all amongst people who know that Robert Forster - songwriter, critic, author, artist, is – to paraphrase the man himself, one thing greater than all the things that he is together.